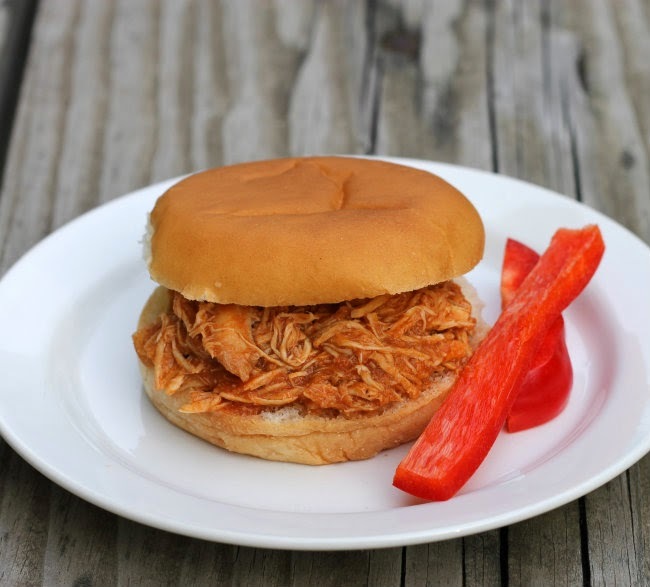 Crock Pot chicken you will love!! On Mother’s Day our kids like to gather at our house to celebrate Mother’s Day with me. But they also like for me to make them dinner, which I don’t mind if I can make something simple. That is where the crock pot comes in, I love being able to throw things in and walk away… it’s Mother’s Day I don’t want to be standing over a hot stove the whole day. Pulled meat is always a good way to go. I love the flavor of meat that has been simmered for hours and comes out tender and delicious. I found a chicken recipe that is so simple for chicken and it included a little beer (which I love cooking with; it gives food such a good flavor). I made my own BBQ sauce even though the original recipe called for sauce purchased from the store and even suggested not using homemade, but it turned out yummy none the less. I have a simple BBQ sauce that I love and the family loves and doesn’t take much work, but if you prefer you can purchase yours from the store. 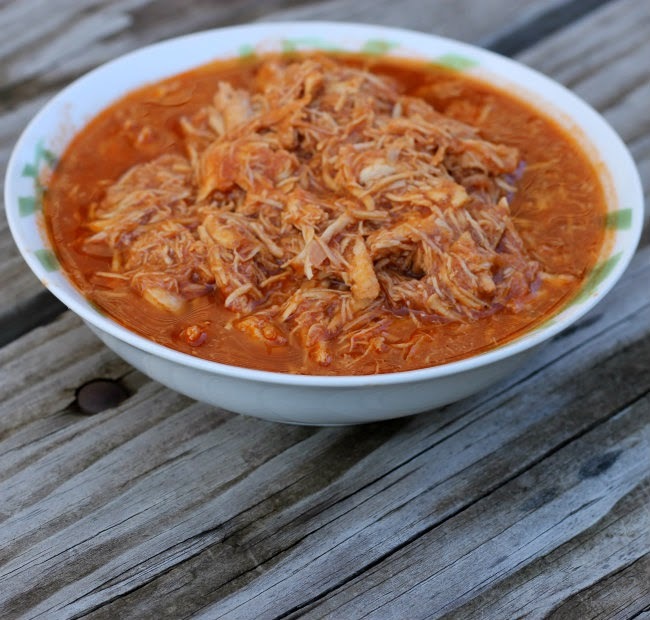 I could see using this same recipe with pork or maybe even beef, so if you are looking for something that will feed a crowd this recipe will do it. 2. Prepare the BBQ sauce before adding it to the crock pot. I a medium sauce pan combine all the ingredients except for the beer. Stir until well blended. Heat over medium heat until the sauce comes to a boil. Remove from heat and pour 2/3 of the BBQ sauce over the chicken that has been placed in the crock pot. Pour the beer over the chicken and BBQ sauce. 3. Cook for about 6 hours remove chicken from and shred. Return to the crock pot add the remaining BBQ sauce and cook for additional 1 hours. I cooked on high so that the BBQ sauce would cook down. If you do not want to cook on high for that amount of time I would suggest that you cook on low for 8 hours and shred the chicken and do not return to the crock pot but stir in the remaining BBQ Sauce and serve. (I misread the directions on the original recipe, but the chicken turned out yummy, the family loved it). Any recipe that combines ‘crock pot’ with ‘boozy’ has got my full attention! Easy peasy and family approved! What a great meal! 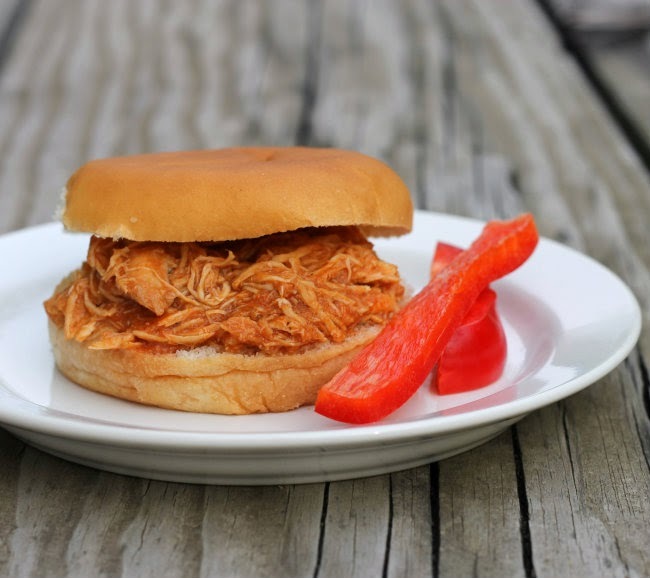 I love the idea of this sandwich on a hot summer day, I can just throw it in the crockpot and not have to use the oven or stove.